I'm already enjoying the different kind of power that a grunty diesel produces, and I'm really looking forward to the fuel savings. Good to see another X3. We went from an X5 to an X3 as well, and haven't regretted it. No need to change forums, I find the topics are very similar to read them both. And even the E70 board. Welcome! Bought my wife a 2006 X3 w/ M pkg and 6 spd manual last year and love it! Very fun ride on long winding country roads next to my 4.8is! "I can’t understand it. I can’t even understand the people who can understand it"
"If you choose not to decide, you still have made a choice!" 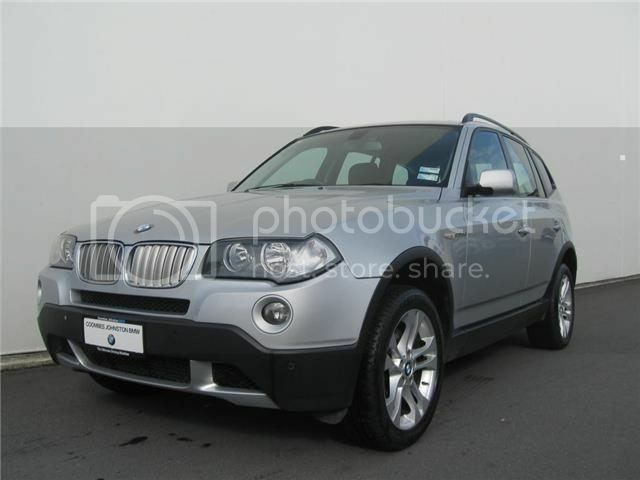 2006 X3 3.0i Mystic Blue-175K, ///M pkg 6-Spd Manual- Trading in 6/10/17 for a Mini too! And here I am, almost 5 years later, having just sold the X3 and moved back to an X5 M50d. X3 3.0SD was great, that engine is just awesome, and even with 200,000km on the clock, the car was still as good as ever, no major mechanical issues over it's entire life (one split radiator hose and one cracked vacuum hose). As a fellow 30sd owner, what is your fuel consumption like? Mine is a 2007 with 200k on the clock running the BMW standard staggered 235/50R18 in the front and 255/45R18 in the rear and I have an average of about 9.1L/100km. On average, I drive pretty cool, but occasionally let her sing when I get the chance. Sorry, I just realized that my virus software on my other computer blocked your image with all the detail consumption info! Looks like we have exactly the same consumption. Thanks! Last edited by Belginique; 07-29-2018 at 06:37 AM.